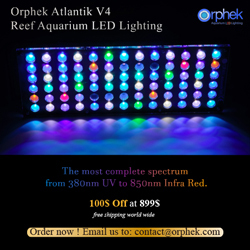 As of this past Friday BioTek Marine has released a new color option for the Tek Series product line called the Tek Edition Red. 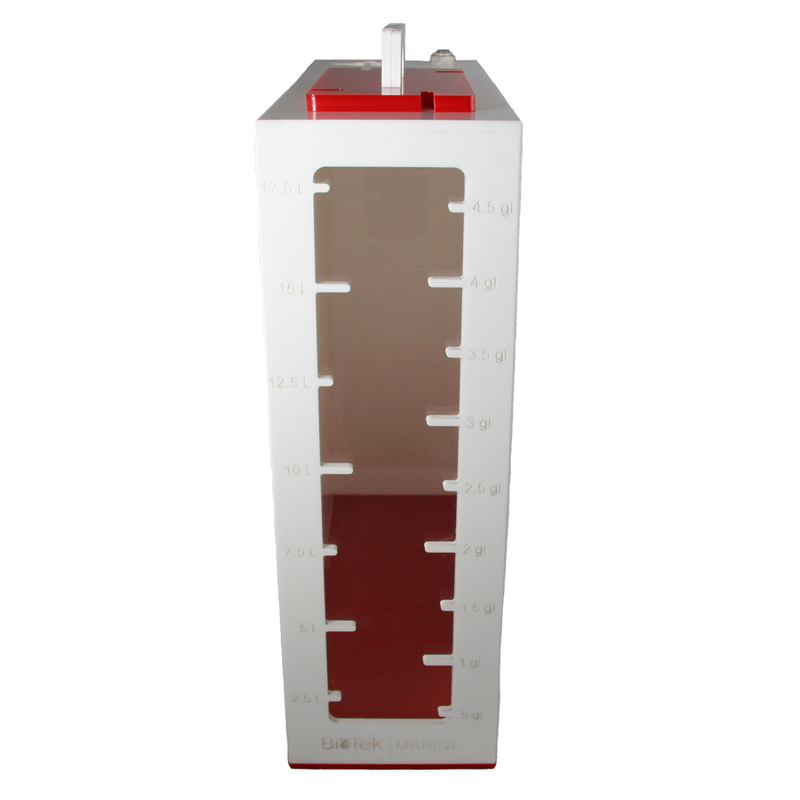 The Tek Edition Red includes 30″, 36″, 44″ sumps, 5 and 10 gallon ATO water tanks and other than the color, they are identical to the Tek Blue & Grey versions. 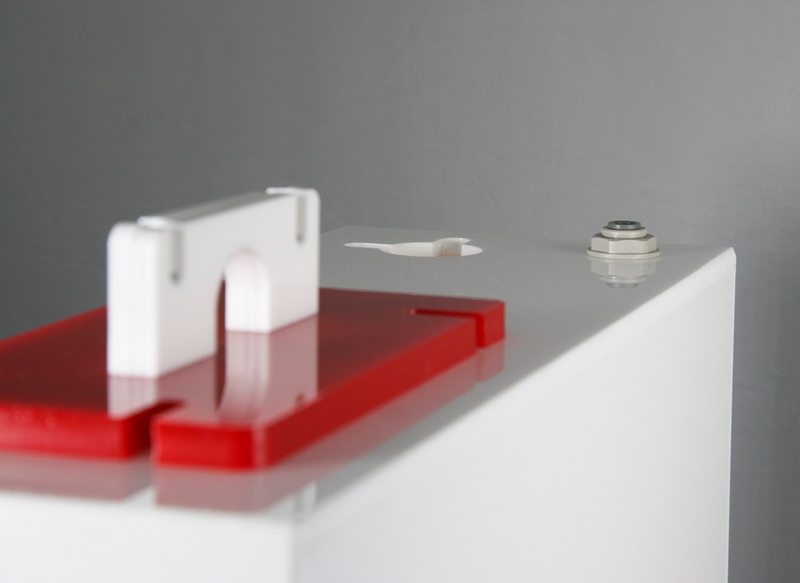 The Tek Red was produced in red and white to complement some of the other protein skimmer and reactor product lines that use a combination of red and white acrylic and/or white PVC. Pictured above is the 44″ x 17″ x 16″ sump that includes 2 x 1/2″ returns and an inclosed 2 x 7″ filter sock compartment. Enclosing the return section eliminates annoying salt creep and dramatically reduces noise from the aquarium return lines. 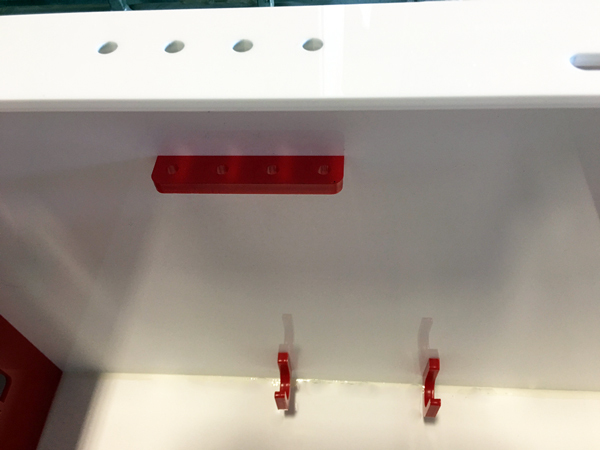 BioTek Marine recently added an additional dosing tube bracket positioned under the 4 holes aligned along the top back bracing. 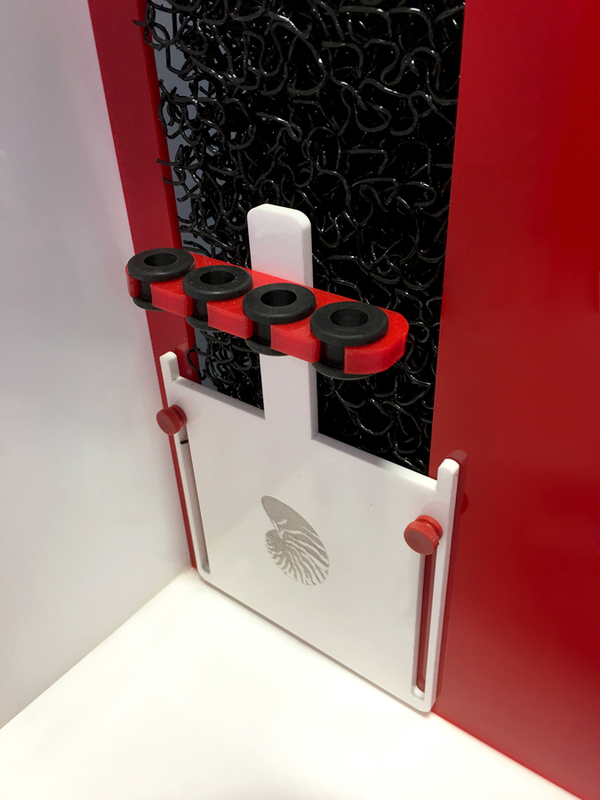 This additional bracket more safely holds the dosing tube lines and eliminates the need for having to purchase another accessory. In the back of the sump you will notice a heater holder that is fixed to the back wall of the sump. The bracket keeps the heater secure and out of the way and protected possible damage when repositioning skimmers and media reactors when it’s cleaning time. Both Tek color options have improved cable management slots on the top of the sump along the back wall and right hand side of the sump. Also included is a probe holder for mounting up to 4 probes. 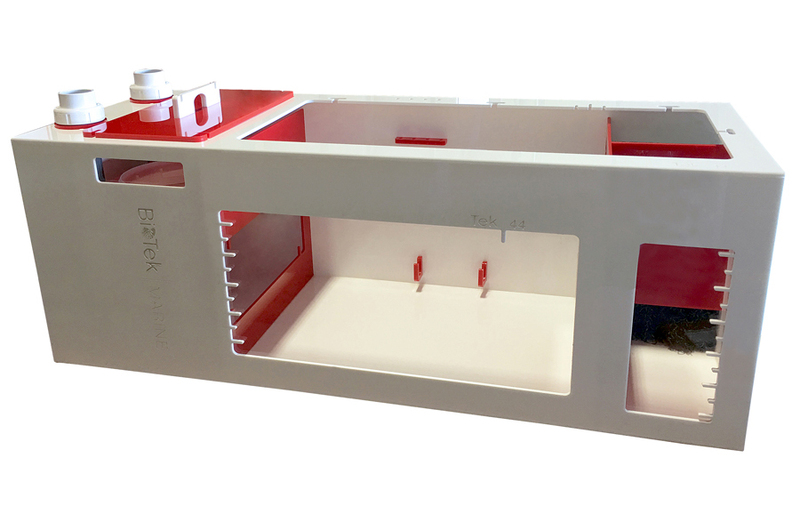 Note: The Tek Edition Red option sumps and water tanks will be addd to BioTek Marine website later this week. 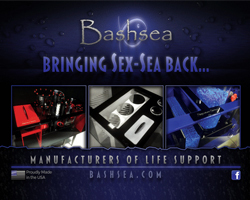 See the dealer locator page to find a dealer near you.